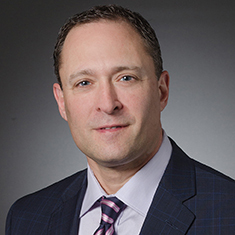 Robert Stone is a partner in Katten's Employee Benefits and Executive Compensation practice. Robert advises clients on the investment and management of benefit plan assets, including the fiduciary standards and prohibited transaction rules of ERISA. He regularly advises hedge fund and private equity clients investing on behalf of benefit plan investors and compliance with the ERISA "plan asset" regulations. He also has significant experience advising asset managers and broker-dealers on a broad range of securities and financial products offered to US pensions. Robert works closely with Katten's Financial Services group and has an extensive background working on structured finance, capital markets and banking matters. In addition, Robert designs equity and incentive compensation programs for public and private companies and counsels clients on benefit strategies in merger and acquisition transactions. He also regularly advises clients on the tax aspects of international compensation arrangements. Co-author, Should We Trust the Fiduciary Rule Is Gone?